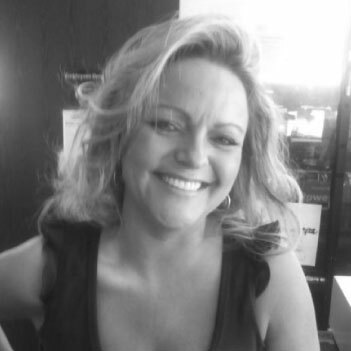 In 2010 CEO and Whitening Lightning founder Jennifer Gerard started with a bright idea to bring the world top notch of teeth whitening without the mess, hassle and sensitivity of other products on the market. Her passion and knowledge resulted in a mobile teeth whitening service in Los Angeles that eventually evolved into a booming online business. Within 2 years the product line was a staple for Hollywood Celebrities and Top YouTube influences who rely on Whitening Lightning to deliver their camera-ready smile. 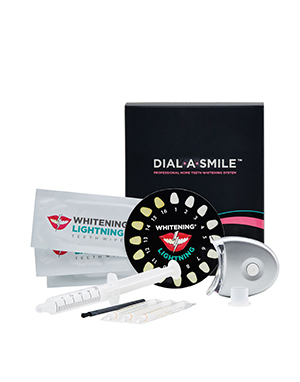 Our famous Dial A Smile Kit quickly became a cult favorite is recognized all around the world as the best way to whiten in 20 minutes. Our teeth whitening pens are perfect for touch-ups and our Super-Booster pen is a flag-ship product that brightens on the go. We ship worldwide and have quickly set the gold standard and the beauty industry is buzzing about the brand’s innovation and diverse product line that has something for everyone. THE WHITENING LIGHTNING BRAND IS GROWING LIKE WILDFIRE! Whitening Lightning has had the honor to attend countless Celebrity Events and our products are a celebrity favorite that have been integrated year after year in the exclusive celebrity gift bags at the 2011 Primetime Emmy Awards, 2012 Academy Awards (The Oscars), and the Academy of Country Music Awards (CMA). We were even named a Top 5 Pick by NBC News. It’s no wonder our company has grown by more than 1000% over the last 18 months. Featured in high profile magazines like In Style, Soap Opera Weekly, OK Magazine, US Weekly just to name a few. Our Super Booster Teeth Whitening Pen was dubbed “a Must Have for Every Woman’s Purse.” The brand receives endless support and adoration from our thousands of social media fans who engage and connect with our brand on a daily basis on Facebook, YouTube, Twitter and Pinterest and thousands of people discover us everyday via these platforms. We pride ourselves on offering products will become a consistent part of your beauty and hygiene routine. Our teeth whitening and beauty products are designed to make your life easier and are easy, quick ways to boost your beauty and confidence. People dread traditional teeth whitening products because they cause tooth sensitivity and are a time-consuming mess. So many of our competitors use carbamide peroxide as the active ingredient which is a low-grade, slow-acting chemical that cause tooth and gum pain because . Our Whitening Lightning Super Booster Teeth Whitening Pen and Dial a Smile Professional Whitening Kit are made with hydrogen peroxide which offers faster results without sensitivity. For our ultra-sensitive and all natural customers we have created a groundbreaking botanical solution to whiten teeth in our ZERO White Teeth Whitening product line. Our teeth whitening products are ideal to whiten dental work like caps, veneers, and crowns. Our latest home run hit, our Color Your Smile Lighted Lip Plumping Gloss, comes complete with a mirror and light built right in for the perfect pout when you’re in a pinch. It’s no surprise our ever expanding range of innovative beauty products is all over YouTube and in the pages of top magazines. We put love and detail into every product we make and all of our products are Cruelty Free, Gluten Free and never tested on animals. A smile never goes out of style and you deserve the best of everything. You’ll love your brighter, whiter smile Guaranteed!